My concerns are that it doesn’t go with the foyer/dining room with it’s really purple walls (Behr purple mauve or exotic purple, I can’t remember), but I do like that it brings the blue from the living room into the random room. unify the open space some more. I can’t wait until the final shelf is up so I can organize everything we want to put up there! ….specifically to this image on the right. Sometimes I find myself wishing I could make my own furniture or at the very least, sew. I know exactly what I want for our living room: a low, square, blue tufted ottoman that’s large enough to accommodate the area. I think we need to bring the blue together more in the living room, it’s soft so I don’t need to worry about A hitting his head on it, and what we have now is too small so only two people can put their feet up at a time and they have to be cozy. 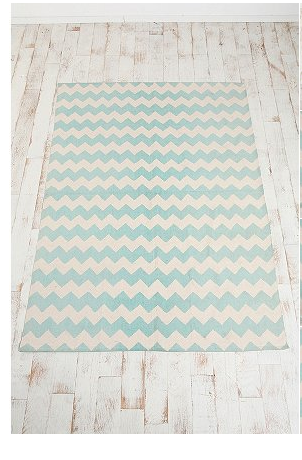 The thing is I don’t even know where to look for something like that (it just occurred to me, that’s something Jonathan Adler would have) and even if I did, I probably couldn’t afford it. My goal is to one day become a DIY master and thereby avoid such dilemmas. Sidenote: just put Aiden down for his morning nap and so far he’s been talking and singing to himself, despite his droopy eyes and numerous yawns when I actually put him in his crib- this always happens. He also learned two new words this morning: “messin” for medicine (he’s getting over a cold and intense teething) and I kid you not, “Fiona”-all three syllables. This is due to the little Shrek figurines that come with Cheerios and Aiden likes to have on his high chair tray while he eats. Sometimes he feeds them. 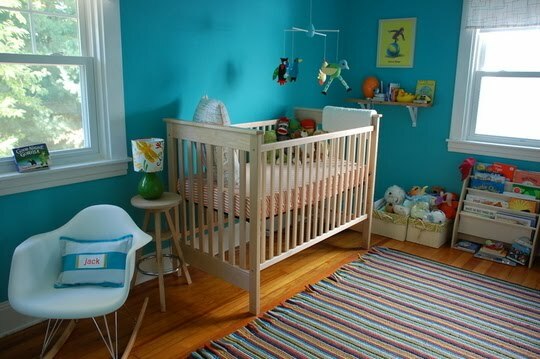 I’ve been hesitant to blue because the blue baby boy room thing has been done and exhausted, but this a brighter not baby-blue color and I love it. 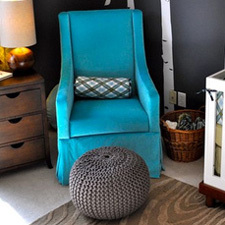 The picture is from Ohdeedoh, a site I look at religiously along with Apartment Therapy for inspiration. 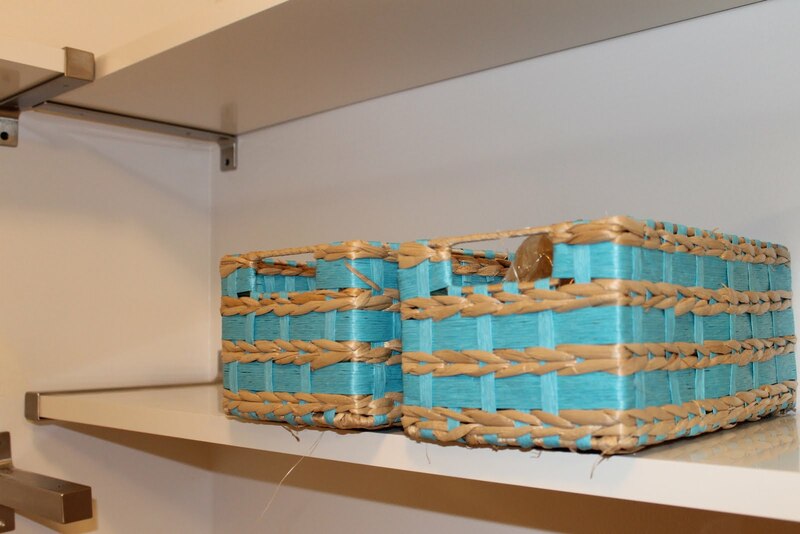 We also want to incorporate green accents to keep the room bright and cheerful and I think it would go well together. What do you think?